Get Ready to Turn Up the Heat! 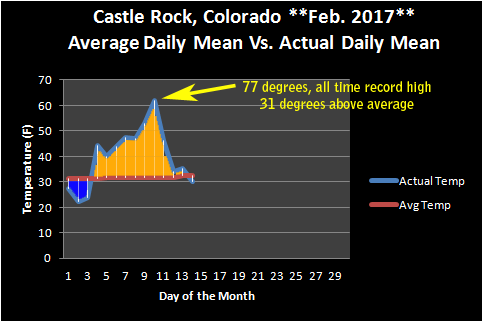 The month of February has been well above average for Castle Rock so far. We set a daily record high on February 10 when Castle Rock reached 77 degrees, this is most likely also the warmest temperature recorded in the month of February since record keeping began. Denver hit 80 degrees which marks the same milestones, additionally it is the earliest 80 degree reading recorded in history. The Climate Prediction Center’s latest 6-10 day outlook shows a high probability that most of the U.S. stays under above average temperatures, including Colorado. CPC 6-10 outlook shows a high probability of above average temperatures over the period. There is an unusually large amount of air in the arctic, as fronts move through and sweep this extremely warm air through Canada and into the U.S. it will produce record warmth for much of the country. 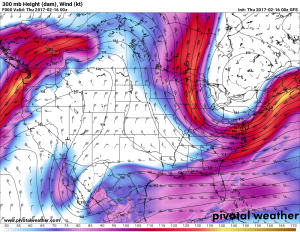 Strong ridging is present in nearly every level of the atmosphere (see below) this allows warm air from the Southwest to couple up with the warm air moving South from the arctic. 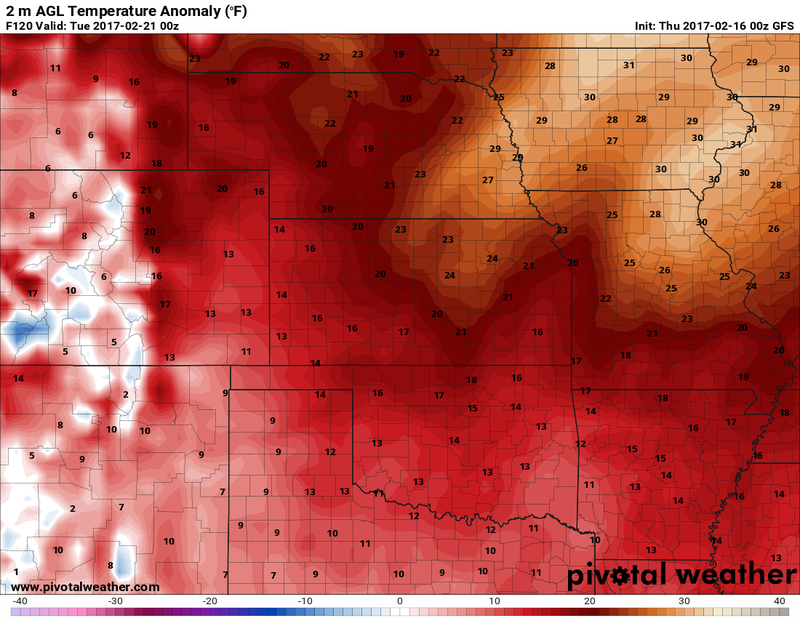 Two very warm air masses coming together means warm temperatures for all involved! 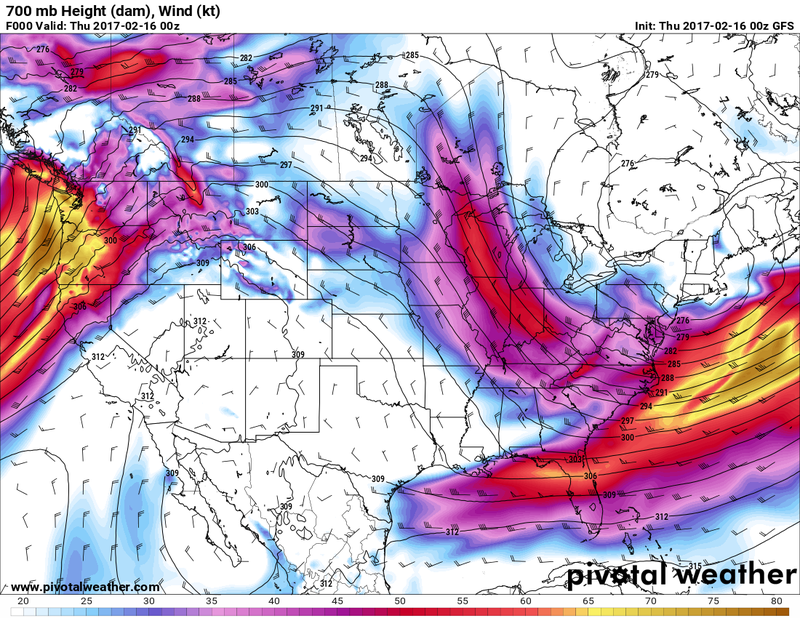 Notice that in the low-mid level, mid level and upper air patterns, strong ridging is present over Colorado at every height. This means strong high pressure is present at all these levels, this allows warm and dry air to establish over the area and keeps storm systems away from the area. 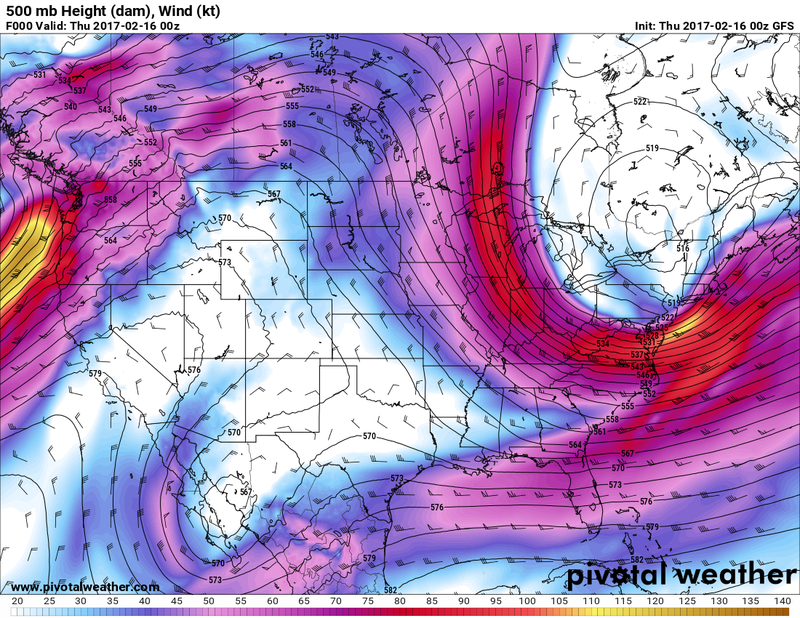 While this pattern weakens a bit towards the end of the week and at some points next week, it doesn’t disappear or move. This means we can expect above average temperatures for some time along Eastern Colorado. So the short answer is yes, this looks to be the dominant pattern for some period of time. Buckle your seat belts and don’t adjust your monitor… you’re about to see a lot of red! Below are images of temperature anomalies forecast by the GFS model over the next several days. 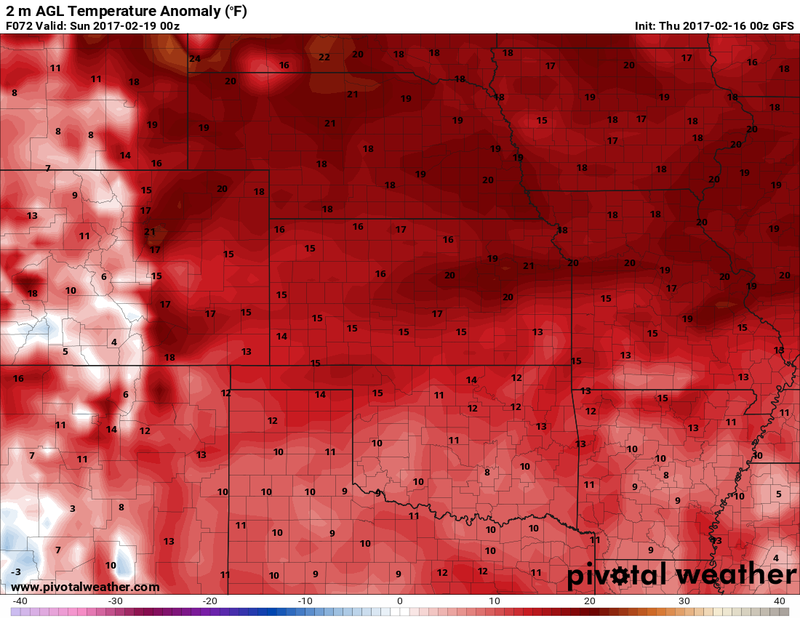 Temperature anomalies are basically a measure of how far above or below average temperatures will be. Keep in mind the average high temperature for Castle Rock this time of year is in the mid 40’s. **By the way, with temperatures running 25-30 degrees above average on Thursday February 16, expect a lot of temperature records to be broken along the front range. Slightly cooler on Friday but still way above average temperatures. About the same temps on Saturday as on Friday. 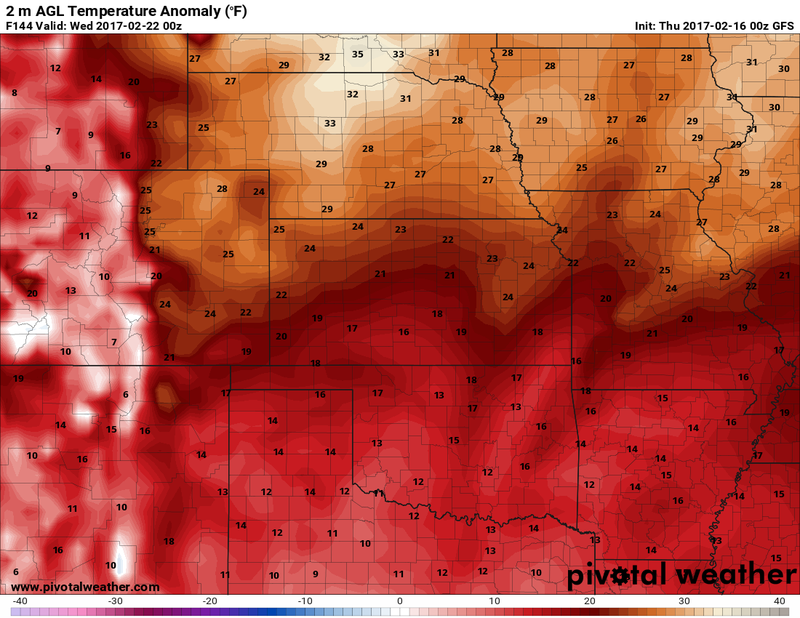 …you get the idea… the next few days will be extremely warm. 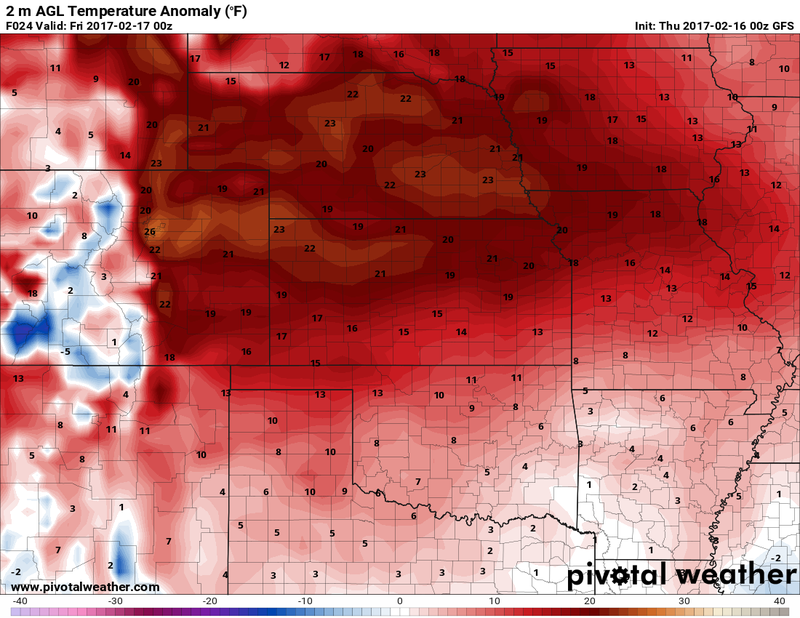 As we head into next week the trend stays exactly the same but we turn up the heat even more! Again, Monday and especially Tuesday look like they could be record setting days. This very stout ridging pattern looks to linger for quite awhile across the U.S. and this will keep most of Colorado warm and dry. The mountains may get a quick shot of snow here and there but they too will see warm temperatures, meaning snow pack may begin to melt a bit. 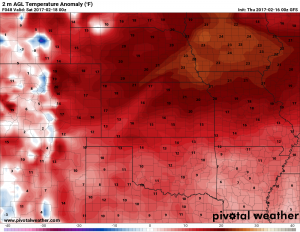 As unusual as it sounds, warm and dry conditions are no stranger to February. While the warmth and dryness may seem extreme, February is known as a warmer and drier winter-time month. 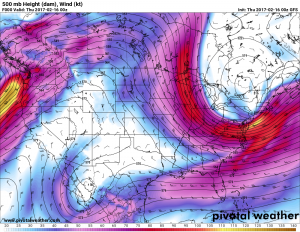 February is often a transition month where we move from the cold and dryness of the winter into the warmer temperatures and moisture laden months of spring. In short, no reason to panic over our dryness and warmth at this point! 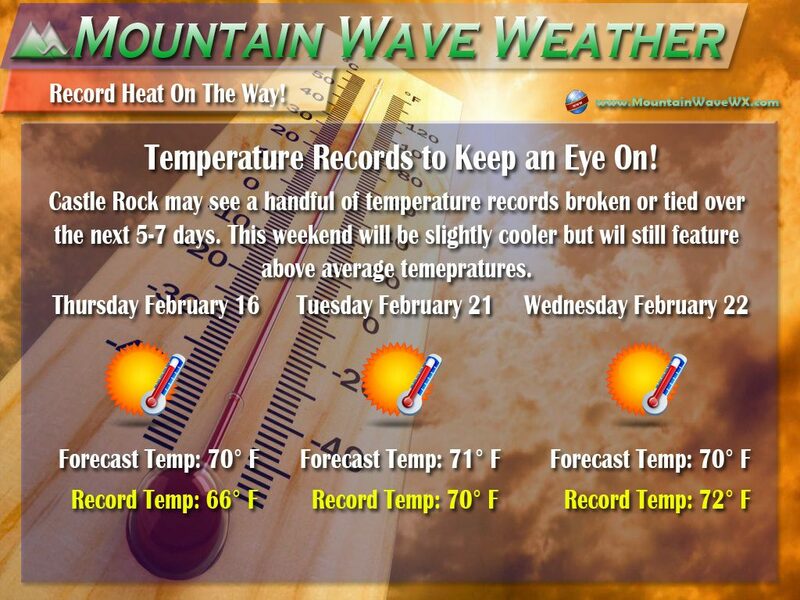 Read More: Track the temperature in Castle Rock with Our Interactive Weather Dashboard! So for now enjoy the warm weather and remember how dry it is! Don’t do anything that would start a fire! It’s also good to remember that this one month will not set the tone for our summer. One or two good snow storms in March or April can wipe out this entire dry stretch so just enjoy the nice weather for what it is now! Happy Thursday!